Heat oven to 350°F. 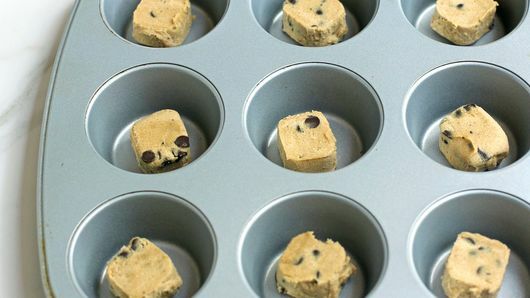 Remove 12 dough rounds from cookie dough package; save remaining dough for a later use. Place 1 dough round in each of 12 mini cheesecake cups with removable bottoms. Bake 14 minutes. Cool completely, about 15 minutes. Meanwhile, in medium bowl, beat cream cheese and sugar with electric mixer on medium to high speed 3 to 4 minutes until smooth. Using rubber spatula, gently fold in whipped cream topping. 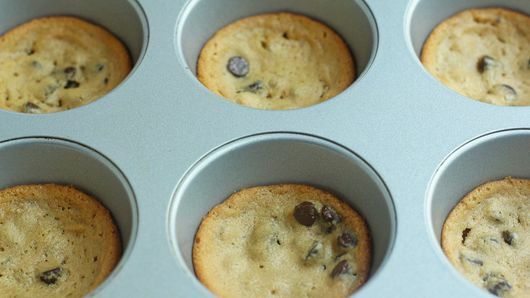 Gently spoon or pour cream cheese mixture over each cooled cookie until cup is full; smooth top until flat. Freeze at least 3 hours to set. Just before removing cheesecakes from freezer, place chocolate chips and coconut oil in microwavable bowl. Microwave on High in increments of 20 seconds until chocolate is completely melted. 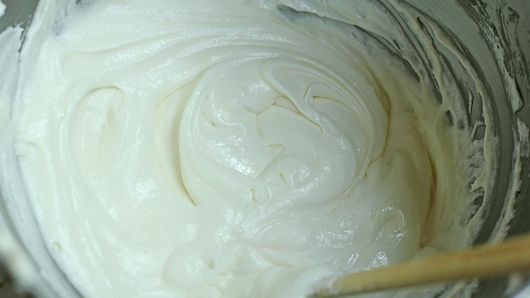 Beat mixture with whisk until smooth. Once cheesecakes are firm, remove pan from freezer. Gently release cheesecakes from cups. Remove cup bottoms from cheesecakes; place on cooling rack. Decoratively drizzle melted chocolate over tops of cheesecakes. Let stand 2 to 3 minutes to set before serving. If you don’t have a mini cheesecake pan, you can definitely use regular-size muffin cups as a replacement. Use a knife to help release the cheesecakes from the cups. The cheesecakes will be a bit smaller in size but still as delicious in flavor! 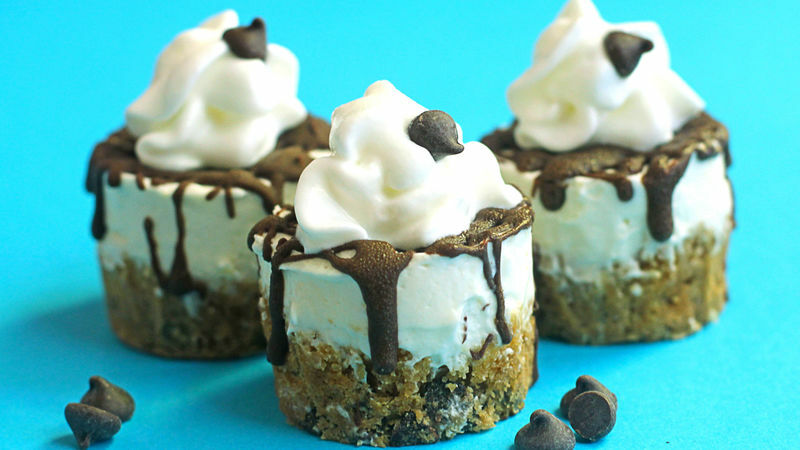 For even more fun, add a dollop of whipped cream to each cheesecake and garnish with chocolate chips.